Sales resolution tool that turns data into business intelligence and provides your team with a competitive advantage. In the asset management industry, there’s no substitute for being able to handle data quickly and accurately, and the SalesPage client data platform does exactly that. 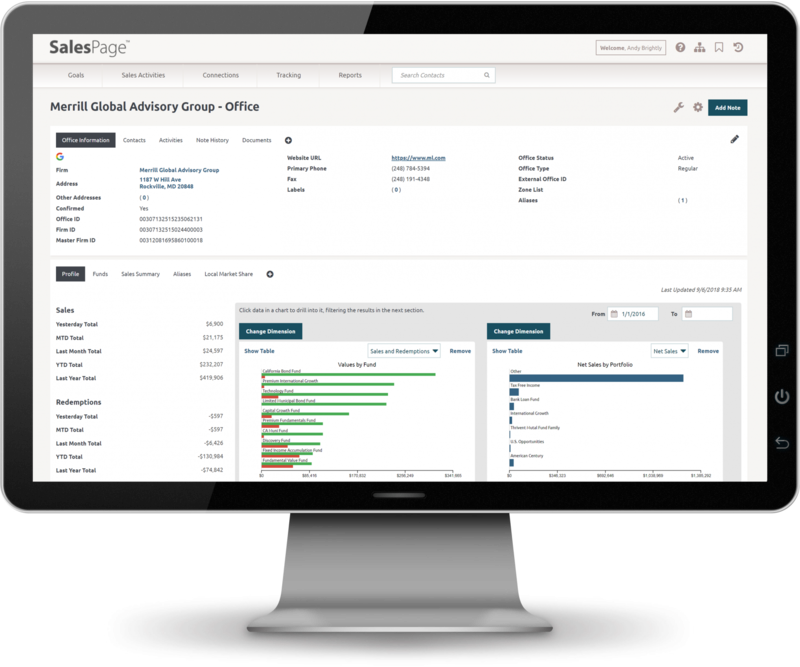 SalesPage manages production data from all sources and across all distribution channels, including transfer agents, separately managed accounts, retirement platforms, market share providers, and entity data providers. 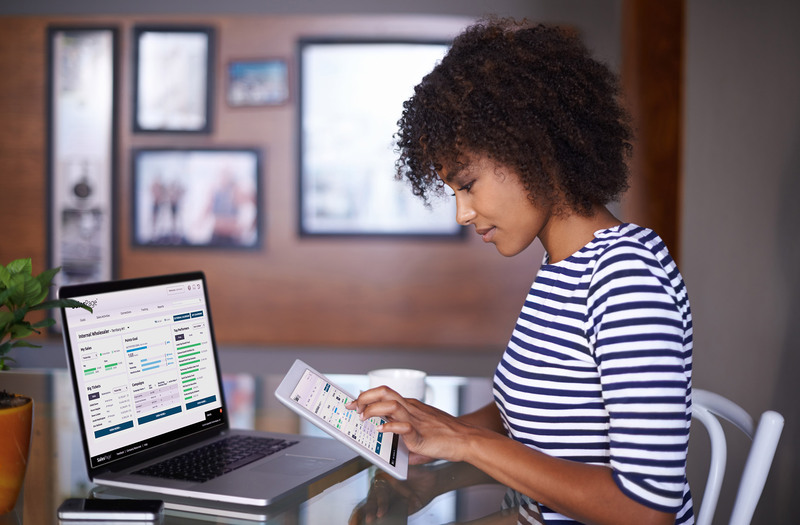 SalesPage facilitates and automates importing, validating, resolving, and allocating all this data, employing client-specific business rules and definitions. Having accurate production, market share, and entity data at your fingertips helps you identify opportunities quickly and easily while targeting prospects intelligently with the right message at the right time. The SalesPage client data platform curates intelligence from all touchpoints, contributes to your data warehouse and lakes, and provides a better experience for your teams by translating multiple data sources into a single version of the truth. Which SalesPage solution is right for me?